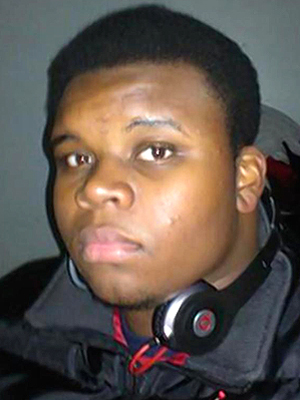 JANUARY 5--In the latest attempt to posthumously demonize Michael Brown, a video purporting to show the teenager brutally beating and robbing a “senior black male” has gone viral on Facebook, piling up a staggering 17.5 million views in the past two weeks. This online call to action has been remarkably successful based on the 2:05 clip’s increasing Facebook view and share numbers. In a tip sent to TSG, a reader included a Facebook link and the claim that Brown’s victim was a homeless man. “Traditional media won't touch this because it destroys the ‘gentle giant’ myth that his parents and other Lefties have put out there,” the reader declared. 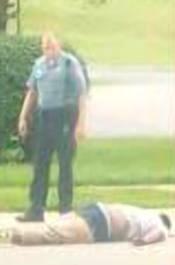 The video shows a young black man walloping the victim from behind with a roundhouse right. As the attack continues, the younger man punches and stomps on the older man, takes the victim’s backpack, and rifles through his pants pocket. At one point, a second man punches the victim in the face. Except, of course, Brown is not the attacker seen in the viral video. The clip was shot about 28 months ago by Rolanda Jones, a 27-year-old Texas woman who lived in the Woodland City Apartments complex on South Jim Miller Road in Dallas. Seen at left, Jones, a Walmart employee, used her phone to film the attack, which occurred outside a two-story Woodland City building. She later uploaded the clip--titled “Only n Woodland City”--to her YouTube page. How the video was eventually discovered, edited, and repurposed to smear Brown is a mystery. Brown lived his whole life in the St. Louis area. At the time Jones filmed the assault, Brown was a 16-year-old high school student living 650 miles from Dallas. Jones, who did not reply to a Facebook message sent by a TSG reporter, no longer resides at Woodland City, a rough-and-tumble Section 8 housing complex where fights are not uncommon. In fact, footage of brawls there can be seen here, here, and here on YouTube. In March 2013, a man was shot to death after being chased into a Woodland City apartment. The assailant, The Dallas Morning News reported, was wearing a gorilla mask, according to neighbors.